Our classic crack measuring magnifier with magnification of 6x and robust all-metal body with distortion-free (aplanatic) glass lens. The unique feature of this magnifier is the 45° angular stainless steel graduation plate in the base which has laser etched graduations at 0.1 mm increments. This measuring magnifier can be focused with the height-adjustable lens systems (sliding focus). The open base is ideal when access is needed to the object being inspected. The eyepiece can be removed from the holder for inspection without contact. 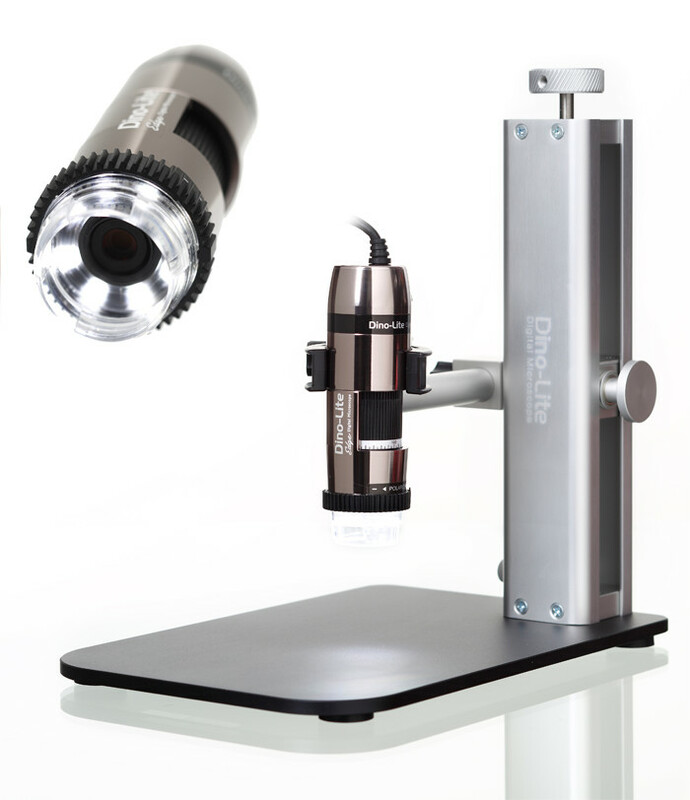 This magnifier is particularly suitable for checking the cutting edges on drill bits and milling cutters and is also popular with technicians in the construction industry for measuring the width of cracks in concrete, where the stainless steel scale is superior to a glass scale, which can scratch easily. The angled layout allows ensures good light incidence while preventing reflection when the light is bright, making the scale very easy to read off. The crack measuring magnifier is also available with magnification factors of 8x, 10x and 12x. The graticule scales are available separately as replacement parts. Optional LED illumination available, see related products.